Babies who babble are actually rehearsing, according to a new study. As early as seven months, those vocalizing babies are practicing the movements they will need to start forming words, Patricia Kuhl explained recently in an interview on NPR. Kuhl is the co-direcor of the University of Washington’s Institute for Learning and Brain Sciences. Researchers worked with 57 babies, ages 7- and 11- or 12-month-old. The research results? “…for the first time we can see inside the baby brain as the baby’s doing something interesting – like listening to language,” Kuhl told NPR’s Robert Siegel. 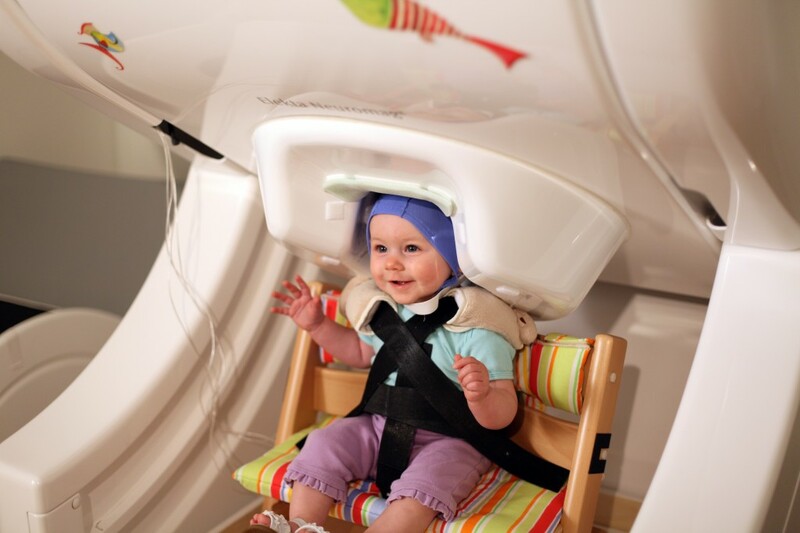 “As the brain listens to sound, the baby’s auditory areas aren’t the only areas lighting up. It’s also the areas that they use to talk — their motor-planning areas. It’s as though the baby’s rehearsing their next moves. They’re trying to join the community of people who use their mouths in these funny ways to create sounds,” Kuhl said. Kuhl adds: “Hearing us talk exercises the action areas of infants’ brains, going beyond what we thought happens when we talk to them. Infants’ brains are preparing them to act on the world by practicing how to speak before they actually say a word.” These are the early, critical steps in the language-learning journey of a developing reader. You can read the study, which was published by the Proceedings of the National Academy of Sciences. Or, better yet, you can find a baby and have a happy, brain stimulating conversation.